Mother’s Day is coming up and all I can think of are the beautiful roses many moms get during this special holiday. I remember when my boys would get home from school and cut a few bushes, little flowers or grass from the yard and bring them over. I would receive them with so much joy and happiness. Now, they aren’t teenagers yet and it wasn’t a long time ago, it was just a couple of years back. But it’s okay mama, just breathe as later on they’ll be teens. They are five and seven years old now but a lot of things have changed. It had been a while since I hadn’t written on my blog as life happened. A few years back, we found out my little one was on the autism spectrum. It was and is at times such a difficult journey. There are days I just don’t know what to do as his meltdowns are at times just out of hand. Don’t get me wrong, my boys mean the world to me and I would do anything a mama bear would if something were to happen to them. GRRRR!! Before I go into my review and interview of this wonderful book and author, I have to disclose that this book was sent to me by the author to review. All opinions are my true and honest opinions of the book and haven’t been influenced by the author or book. Now that I’ve given my disclosure, sometimes as mothers, we seem to forget about ourselves and take care of ourselves. I sometimes go without makeup because I just don’t MAKE the time for it. 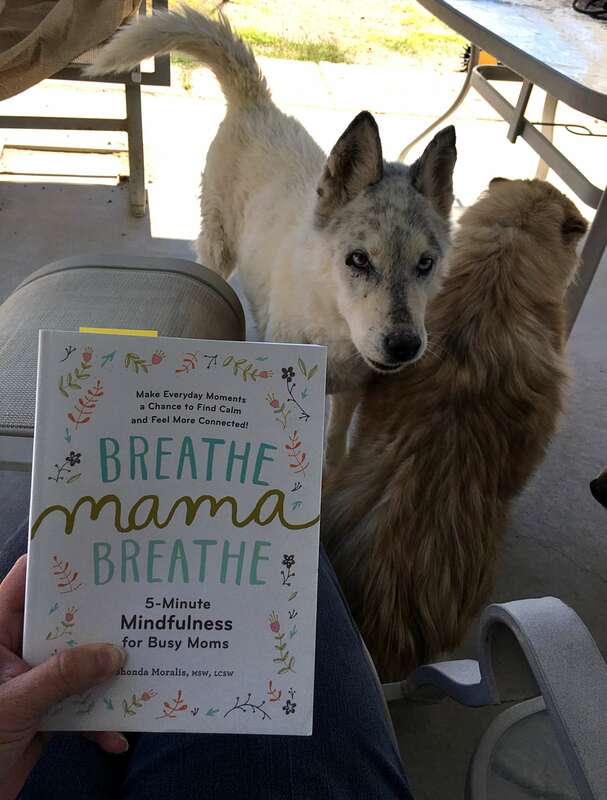 Having read this book, Breathe Mama Breathe: 5-Minute Mindfulness for Busy Moms, has allowed me to see that I don’t need to set up a big chunk of time to be mindful. This book has really opened my eyes about mindfulness and how just by taking a few minutes to take a timeout, or break, as it states in the book, can really help me relax. The book format is set up to where you can grab the book, read a few pages, go finish putting the laundry in the washer, feed the kids, unload the dryer and then jump right into the book again. Phew! It provides some easy-to-use mindfulness tools and strategies you can use throughout your day and throughout your motherhood journey. I know that as a mom we always need to find a little peace and quiet. Whether it’s going grocery shopping without the kids, going for a walk alone, or sitting down while your kids watch another re-run episode of their favorite cartoon character. The book is loaded with lots of mindful break strategies, from The Wine Mindful Break, ooh my favorite, okay I don’t drink wine all the time but yes, this is one of the sample breaks she talks about. And then there’s the Nap Time Mindful Break, which my little ones don’t nap that much anymore but when they do, ah peace and quiet! Giving me time to take a much needed mindful break. The book is so difficult to put down but I do have to confess that just when I was about to finish reading it, well, you guessed it, life happened again and I set it aside. But now that I finally finished reading it, I can just say that it is well written, fun to read and easy to digest. 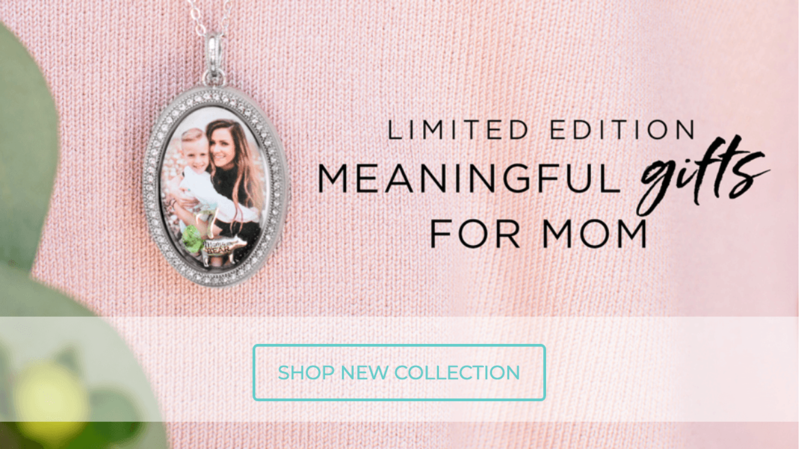 This is definitely one of the top gifts that should be on everyone’s Mother’s Day list! If you are or know a mama that needs to take a breather and be mindful, then this is a book you should gift. Even my doggies wanted to see what I was reading! 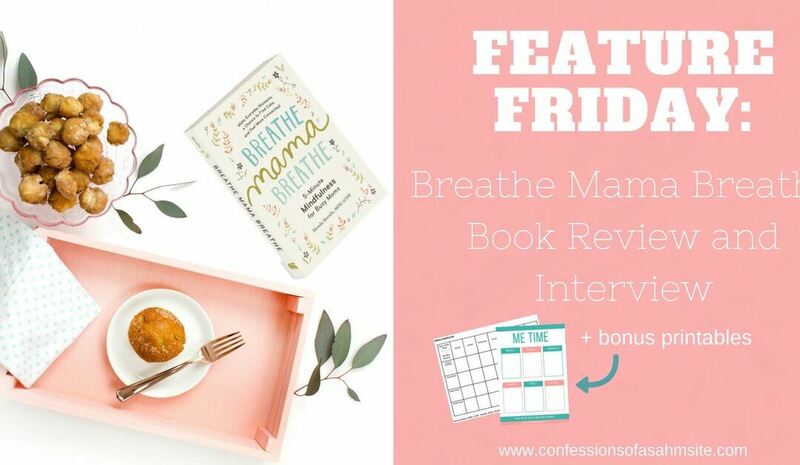 If you love reading or know a mama that does, be sure to grab a copy of Shonda’s Breathe Mama Breathe book and be sure to check out her Mindful Log sheet under Resources on her website or you’ll get it in your book. 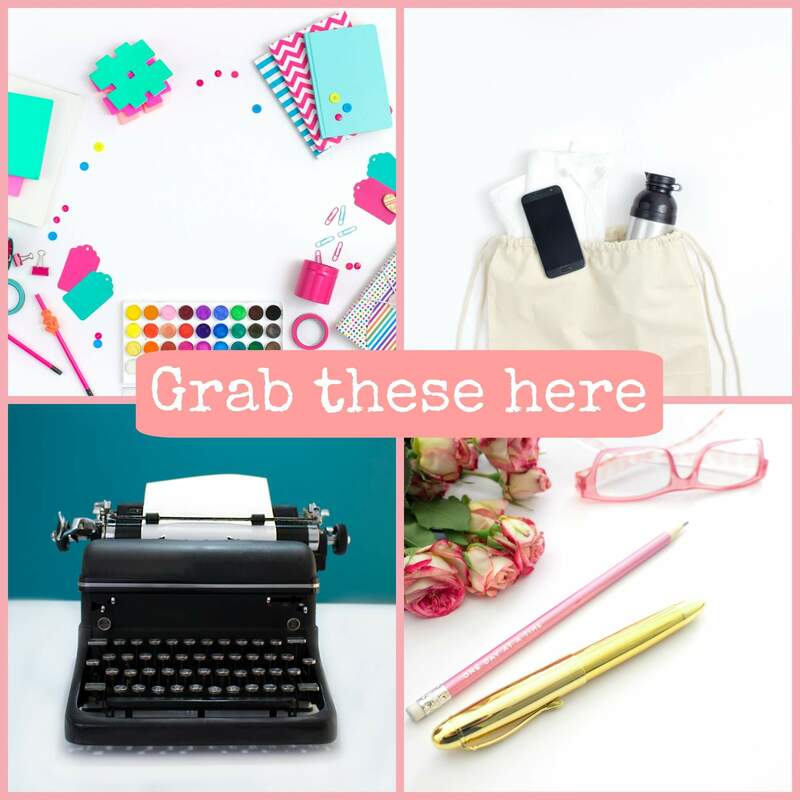 I have also created a mini printable for you to jot down some of the activities you want to do as part of your “Me Time” or jot down some thoughts while you’re taking your 5-minute mindful breaks. 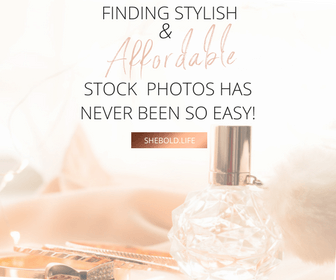 So be sure to download your printable from me and be sure to check out Shonda’s mindful log. Now, let’s hear from Shonda herself and why this book is dear to her heart! 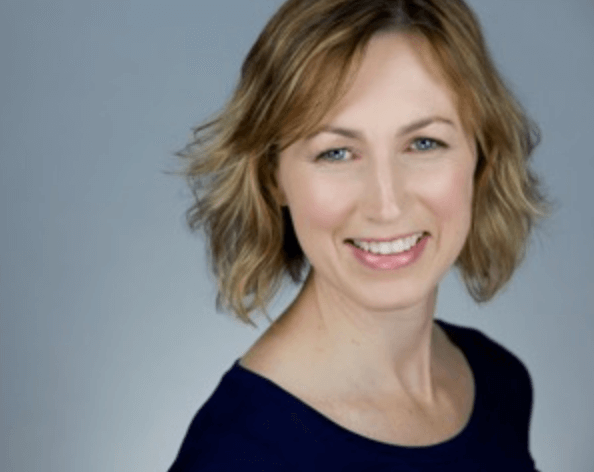 A psychotherapist in private practice since 2000 and mindfulness teacher since 2006, Shonda Moralis, MSW, LCSW specializes in the use of mindfulness-based interventions. She has co-developed various mindfulness group curricula and presented seminars on mindfulness in numerous settings. Shonda writes an ongoing blog for PsychologyToday.com. Her first book, Breathe, Mama, Breathe: 5-Minute Mindfulness for Busy Moms, is a Parent’s Magazine “Mom Must-Read.” As a busy mom to a five- and fifteen-year-old, Shonda has endless opportunities to practice what she preaches. Definitely an introvert — I need regular quiet, alone-time to recharge my batteries. I love people but prefer to interact one-on-one or small groups. I began a faithfully meditating thirty minutes a day when my daughter was three. Seven years later, pregnant with my son, I knew those long meditations would soon be over (at least for a while). In order to hang on to my sanity with a newborn, I developed 5-minute mindfulness practices easily and flexibly incorporated into a full life. I did not set out to write a book. It all began with a blog aimed at helping stressed-out moms. No startup costs with book writing, as my book was picked up by a publishing house. My solo psychotherapy private practice required monthly rent, furniture, website, etc. I opened my practice in 2006. Because I am licensed and bill through insurance, it was only a few weeks before I started to see income. Did you have any bumps in the road at any time? How have you overcome setbacks? There are always bumps in the road! Initially, my patient load would wax and wane. Over time, I have built up my practice and now have a waiting list. In 2012, I was invited to join a group practice as their Director of Mindfulness. I chose to close my practice and climb aboard. It soon became evident that it was not a great match for me and I went back out on my own a little over a year later. I learned a lot from that “mistake” and wouldn’t change it. I have a Masters Degree in Social Work. I love to learn, read, and take continuing education classes. When we follow our natural curiosity and are not afraid to try new things, all sorts of opportunities open up. For many that are thinking of becoming authors or entrepreneurs, what advice would you give them? Do your homework. Ask for help. Don’t be ruled by fear and self-doubt — notice it, thank it for caring about you, then go ahead and do what you came to do. Don’t let anyone tell you that you can’t. Mindfulness meditation, of course! I am always recalibrating the balance, it is a work in progress. I also exercise and am very deliberate about what I say yes to. I am not afraid to say no. We women tend to be so self-critical. Make sure you are constantly offering yourself positive reinforcement for all of the small accomplishments — all of the small things are what add up to something great. Be sure to grab your mindful log over at Shonda’s Resources Page.